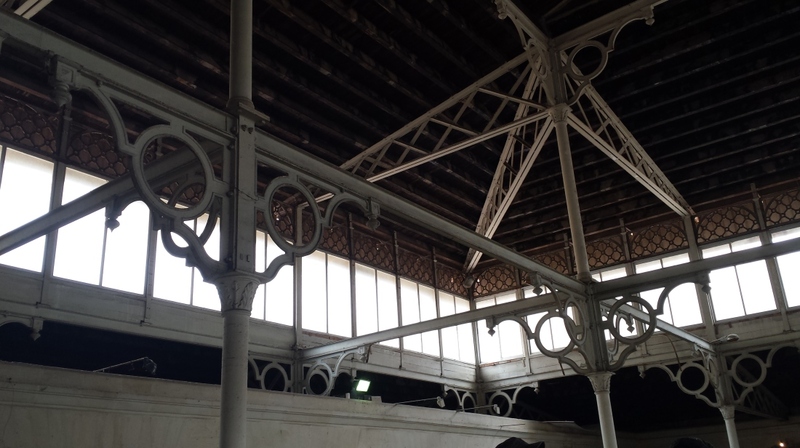 The covered market in Valletta was built in the 1860s and is a gem of British Colonial construction. It will be restored and regenerated over the coming months taking into consideration Valletta’s credentials as a World Heritage Site as well as Valletta hosting the European Capital of Culture in 2018. Addressing a press conference in which highlights of 2014 and upcoming projects were presented, Valletta 2018 Foundation Chairman Jason Micallef said “A visit to Valletta should be a unique experience: The city will indeed become a centre of excellence. This is bringing us closer to reaching the European standards enjoyed in other cities”. He announced that the process of evaluation of ideas and proposals for the regeneration of the covered market is at an advanced stage. The project will take place in public private partnership and will lead to economic, social and environmental regeneration. The design, composed of wrought iron which characterises the inner part of the building, will serve as inspiration for the work to take place. This will include restoration works on the building and its facade. Work on the project is expected to start later this year and is to be completed by 2017. The estimated investment will amount to some €8 million and will lead to the creation of 140 jobs once complete. It was also announced that the first phase of works on Strait Street is expected to be completed early in summer. This consists of improvement to the infrastructure and services which is being carried out by the Transport and Infrastructure Ministry. Although very different in nature, the three sites are gems which have been largely neglected for many years. While a few small businesses are still active within is-Suq and outlets have been mushrooming in Strait Street, there is room for further development. Il-Biċċerija is less spoken of but calls for attention nonetheless. Jason Micallef also announced that Valletta 2018, together with the Malta Tourism Authority (MTA), will be opening its first office at it-Tokk in Victoria and this will be managed by a Regional Coordinator for Gozo. This strengthens the fact that all towns and villages in Malta and Gozo are part of the Valletta 2018 project. Valletta 2018 Artistic Director Mario Philip Azzopardi thanked the Foundation for the opportunity to share his vision and expertise while directing the large events planned for 2018. “My objective,” Mr Azzopardi said, “is that together we embrace this opportunity to create institutions, events, organisations and infrastructure that will continue to work and grow for many years after Valletta 2018 becomes a memory”. Together with Sean Buhagiar, a Cultural Practitioner and Artistic Director for Notte Bianca, Mario Philip Azzopardi will be directing events in the streets of Valletta, the Grand Harbour area and beyond. The programme of events will capture the imagination of Europe and build a legacy to serve the cultural and artistic sector, including its participants and audiences, in 2018 and the years to come. Also addressing the media, Valletta 2018 Executive Director Karsten Xuereb highlighted that a third of the 64 projects mentioned in the Bid Book are underway or in planning stage. The Valletta 2018 Foundation is also developing a strong research programme. A series of annual conferences – launched last year – will be taking place in the run up to 2018. This year’s conference will explore Cultural Mapping in Europe and the Mediterranean and is linked to the Cultural Mapping project: a process to generate information and analysis on culture use and practice in public and publicly-accessible spaces in Malta and Gozo. The project is at an advanced stage and a website with geographical data on all towns and villages will be launched in April.